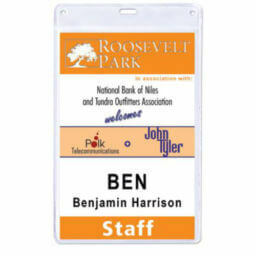 Are you in need of Name-Tags or Badges for your event staff and attendees? 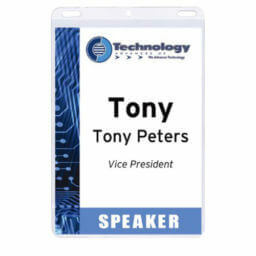 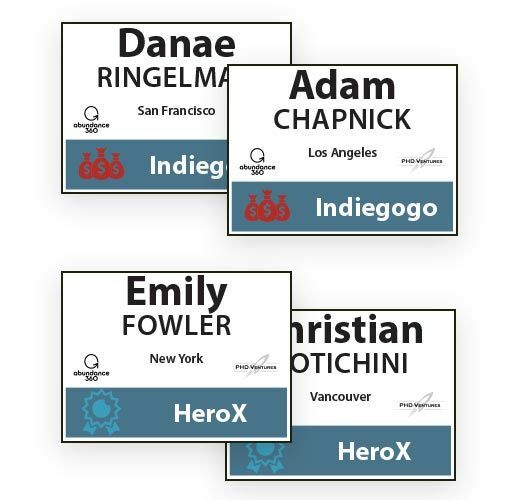 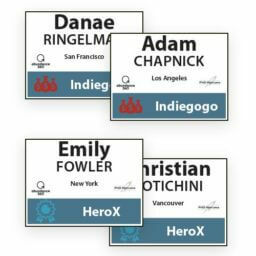 We specialize in personalized and customized badges and name-tags that can merge the attendee specific data with names, location, membership length, images, and so much more. Create high-quality name Badges & Name Tags for your events! 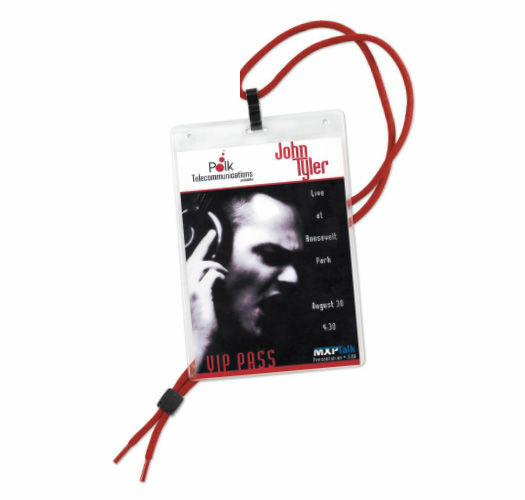 Whether your event is for 50 people, or 1,000 people, Corporate Disk Company has helped many customers with their badge and name tag printing services. 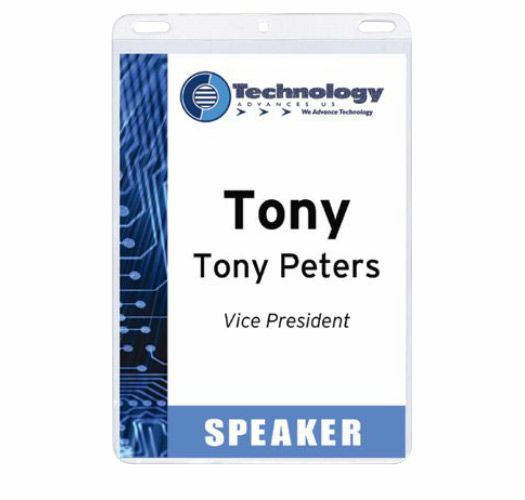 Send us your guest-list and we will use variable data to print professional custom name badges for each of your attendee’s. 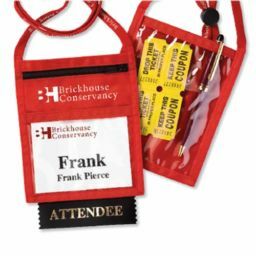 You’ll work closely with our representatives to get the right look, accurately merge your attendee list, and even determine the right materials needed. 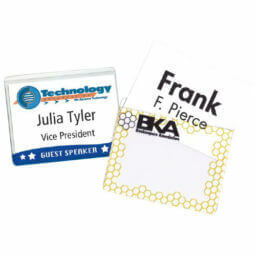 Create and design name tags and badges for your events, for your employees, or for your company. We provide full-service solutions for your name tags and badges including variable data, badge holders, and badge wallets. 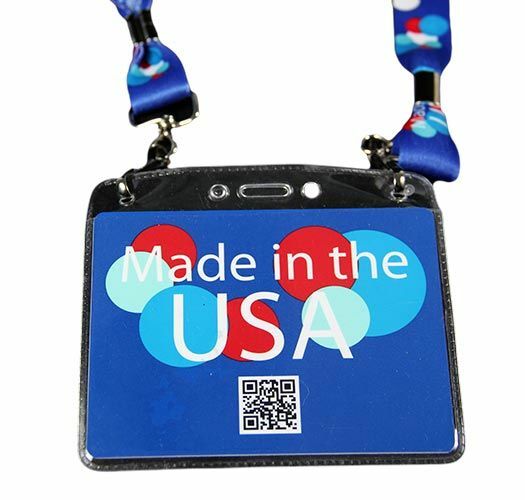 Have full-control of design by submitting your artwork and customizing everything from the lanyard to the clip. Create nearly any style badges or name tags complete with lanyards, clips, badge holders, or badge wallets. Produce custom designs for any event and have unique name tags using variable data. 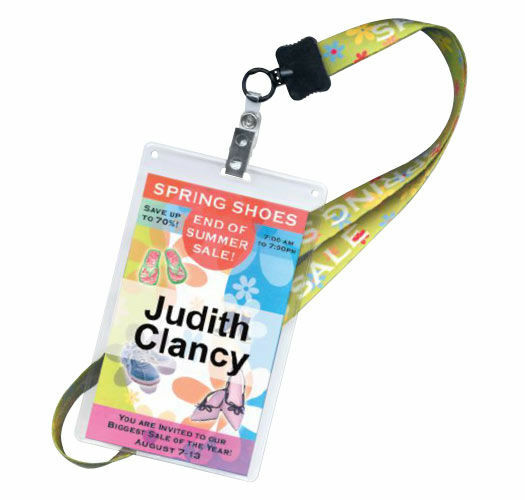 Fully customize and create elegant badges and name tags by designing your own artwork. Have unlimited creativeness and give your attendee’s each their own unique badge. Or, have our professionals re-purpose your existing graphics into a creative name tag and badge solution. 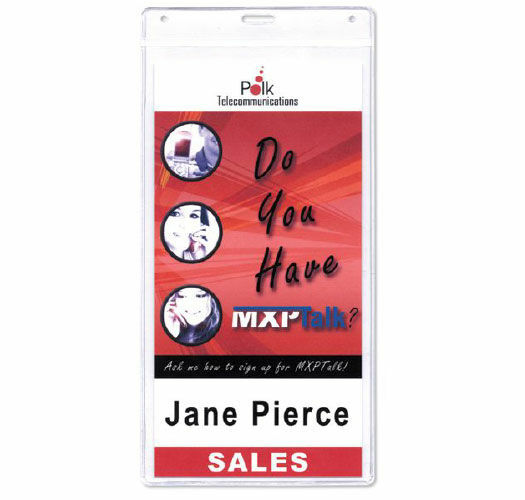 Have full control over your artwork. Design full-color designs with variable data to make your badges or name tags unique. 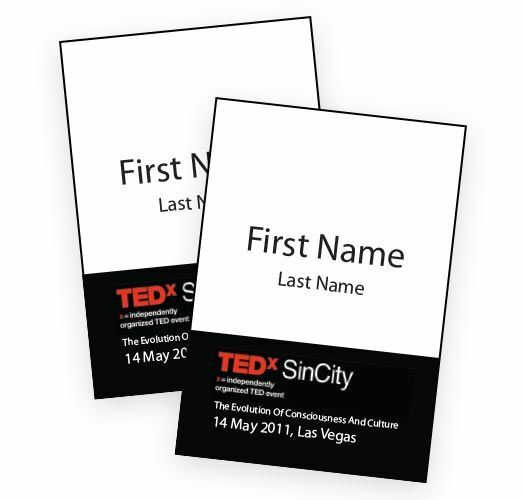 Let our designers make creative solutions with your existing artwork.